Knowing how to work smart while getting the same results is what really matters. Rather than spending hours on tasks which could be automated, focus on minimising effort. Everyone can benefit from using apps or extensions available on Google Chrome. Whether you are a blogger, SEO expert, a web developer or even have nothing to do with digital marketing, there are tools which you can use to increase productivity and improve time management. These tools, or extensions have specific applications depending on your requirement. 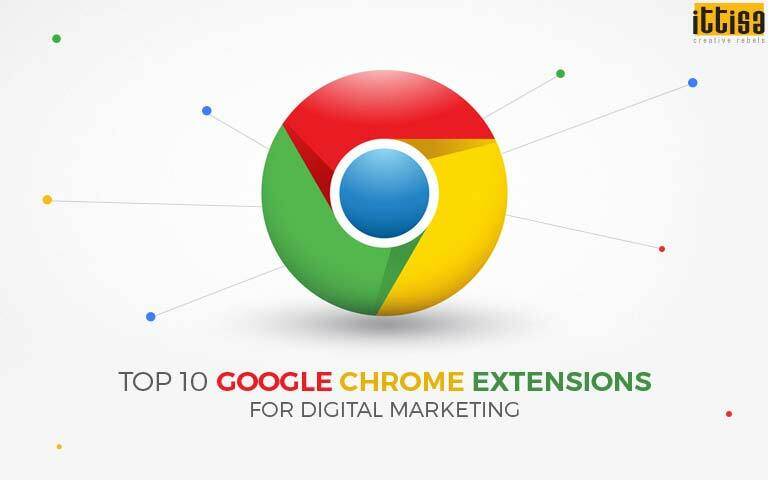 Chrome is a browser that is easily compatible with most extensions and add-ons. Due to its smooth operability and universal nature, most developers upload their programs on Chrome. Hence, a simple yet effective browser like Chrome is the most appropriate platform for beta versions of applications and extensions. Below is a list of tools that serve to satisfy all needs. A hashtag while not imperative, is very useful to segregate content and make discovery easier. Coming up with a strong hashtag is vital for instant attention to your posts. Simple and effective hashtags can easily gain momentum and may end up on trending lists. 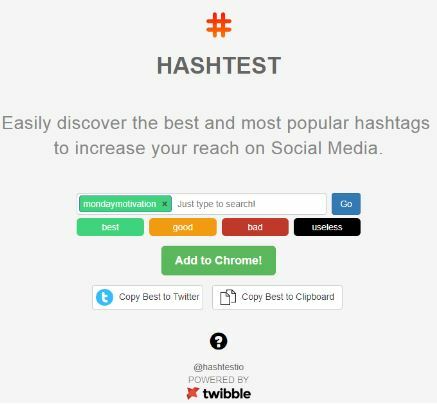 This simple extension lets you input any phrase in the form of a hashtag and the four legends ranging from best to useless will be used to tag your input. When you’re dealing with hundreds of emails on a daily basis, managing them can become a pain. You can use Boomerang to help you manage your inbox better. 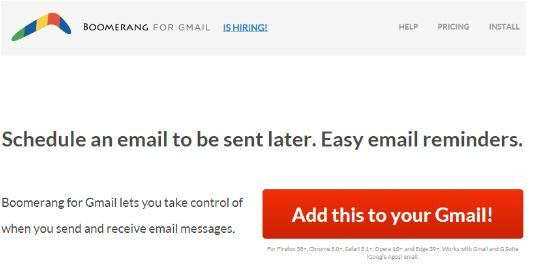 You can schedule mails to go out at a particular hour of the day and even temporarily archive an unread message which is automatically brought back for you to read later. 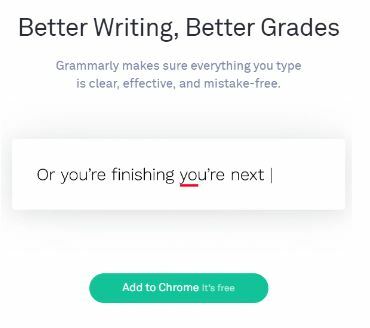 Grammarly is quite a popular extension with content writers. Not just long-format, you can even check emails for incorrect grammar. It also helps in tweaking content and singling out any syntax errors. Not only does it fix mechanical errors but also recommends qualitative improvements to a word or sentence. It helps you set the overall tone of what you write. Giphy helps you express yourself in a more animated manner. It has a vast repository of GIF files which are either created on-site or are uploaded by contributors. Giphy has gained a lot of popularity because of its availability of content appropriate to multiple situations. The next tool may be tough to get used to but it is one that we all need in this age of distractions. StayFocusd blocks all unnecessary websites for you to focus only on work. It provides a high level of customization and you can set the number of times a particular website can be viewed. You can also set the amount of time you want to spend on each website. If you surpass the limit, the particular web page will not be accessible for the rest of the day. If you make a list of all the important websites or social media channels you are a part of, you would notice the huge number of credentials generated. These credentials are vital and often time-consuming to alter. 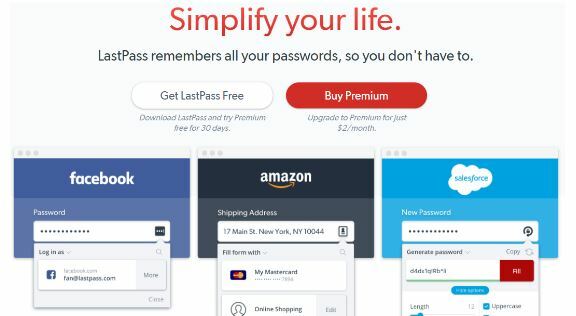 This is where LastPass comes in. Using its extension, you can create one master password which is then used to access all passwords across channels. Hours and hours of reading on a screen is bound to hurt your eyes in the long run. This is especially true for those who work constantly in front of a screen. Night Mode is an extension that inverts the colours on a website in such a way that it becomes gentler on the eye. It also darkens parts of the screen which are extremely bright. This makes reading on a screen easy and comfortable. This one is really helpful if your job is to manage social media content, multiple clients and multiple channels. 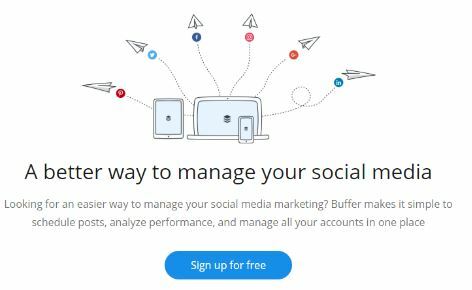 Using Buffer, you can schedule posts across multiple channels and even specify the exact time upto a minute. Another great extension for digital marketers and especially designers is What Font. 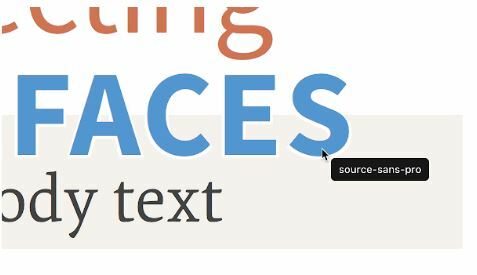 This extension helps you identify particular font styles without opening different software. ‘What Font’ will allow you to identify fonts from the web-page itself. If your job entails working on a webpage, you could use this extension to easily review past steps and make any changes that would otherwise be overlooked. The problem that comes up is in the form of syntax errors through lines of code. You can even record a particular step which needs to be repeated throughout. For example, if there is a line of code which comes up multiple times, you could simply add a preset and automate it. The above list is by no means an exhaustive one and we would love to hear your recommendations in the comment section below!